This will definitely be receiving more academic treatment from me, as I do some side projects on the issues of gender and reception surrounding My Little Pony: Friendship is Magic. This new movie turns the ponies into quasi-humans (they retain their pony colors but in human form). Hasbro says they are trying to target teenage girls with this film, which is due in theatres this June, by giving them characters they can more easily identify with. — Equestria Girls, a My Little Pony Offshoot, in Its Movie Debut – NYTimes.com. However, it is not hard to see how a specific subset of the MLP:FIM fandom will take this in a very different way. We have already seen instances of anthropomorphizing the ponies into human form across fan art — to the extent of applying Rule 34 to the characters. The sexualization of the characters is an fan activity that is common to cartoon characters, even non-human cartoon characters. The application of it to MLP:FIM is slightly different, given that this is a text targeted to girls, and yet the Rule 34 is often applied from older, and usually male, fans — leading to interest fan activity such as this “dispute”. It is hard not to see this new title as directly feeding into this fan activity and seems targeted, if slyly, to this fandom subset (i.e. furries). 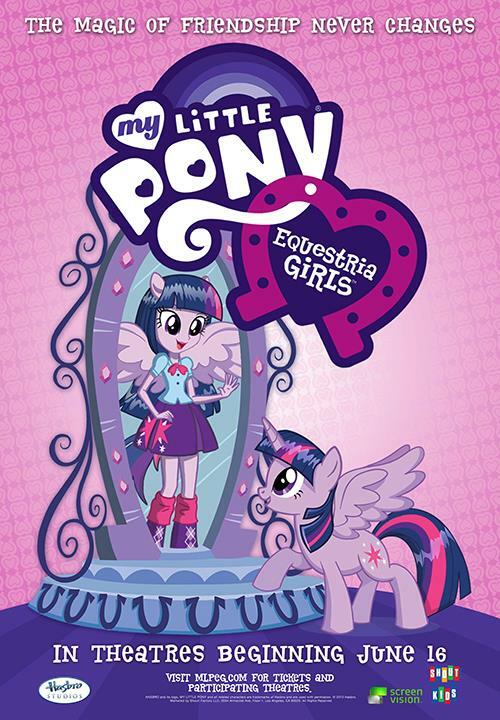 Especially if this is an image that is part of their marketing campaign, to drive home the message that this new text is about the ponies-as-humans. 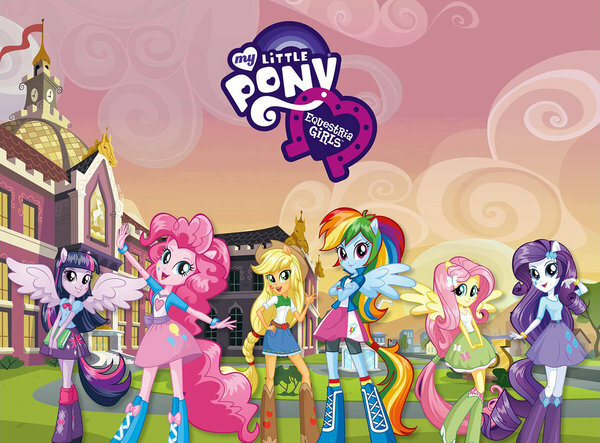 via Equestria Girls, a My Little Pony Offshoot, in Its Movie Debut – NYTimes.com. So, yes, will definitely need to be on top of this one. UPDATE: I have heard from some friends who have connections with the furries culture that they did not believe Hasbro produced the above image, that it had been something created by the NY Times. However, I do not believe this to be true, as that would indicate copyright infringement. The image is branded with the official logo, and a version of the content appears on an earlier NY Times article about Hasbro attempting to market their children’s lines to older demographics. 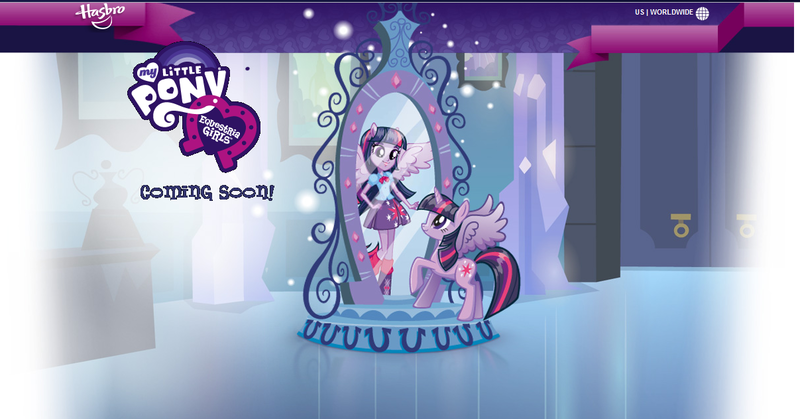 Indeed, a version of the image also appears on Hasbro’s officially coming website for the movie itself (seen below): http://www.hasbro.com/equestriagirls/en_us/. And the static image makes sense as a way to represent in one image what the entire trailer shows: the idea of the ponies in the bodies of humans. A friend also told me that Hasbro is apparently aware of the furries fandom around their product, and have issued copyright infringement based letters of cease and desist to them, as well as to bronies and other aspects of the fandom. For Hasbro to be aware of the furries culture and then to produce these images and this film is quite interesting. 3RD UPDATE: A Cracked article brings up the issue of fetishism around MLP:FIM, and has thus far generated over 1500 comments. Another reaction article can be found at The Daily Dot. 4TH UPDATE: Whether or not these are the official toys is something I have yet to determine, but a Russian toy site is running an offer for Equestria Girls toys that look like the anthropomorphized ponies seen in the marketing.